More Pixar perfection from the guys who brought us Toy Story and Monster’s Inc, and like the others, this one never ceases to amaze and enthrall. Albert Brooks and Ellen DeGeneres are so sweet and true as Marlin and Dory, two small fish in search for Marlin’s weak-finned son, Nemo. 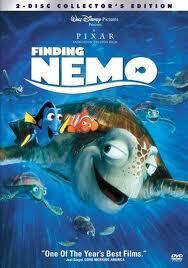 The animation is stunning, but what really makes the Pixar movies click are the original and witty screenplays, and Finding Nemo is no exception. These movies aren’t just “cute.” They are as smart and genuine as they come. Ang Lee reaches new heights in his prolific career by creating one of the most entertaining and thought-provoking comic book movie in recent years. The film truly feels like a comic book with its ingenious use of wipes and cuts, using the split screen to great, thrilling effect. Danny Elfman’s score keeps things moving along merrily and the cast gives skilled performances as what could have easily been caricatures and cardboard cutouts, staples of most effects-driven movies. Call it a sensitive, touchy-feely Hollywood action blockbuster, a refreshing contradiction if there ever was one. 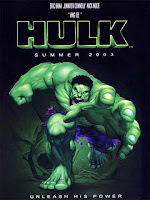 Hulk should serve as a blueprint for all action films – story comes first, then characters, then effects. 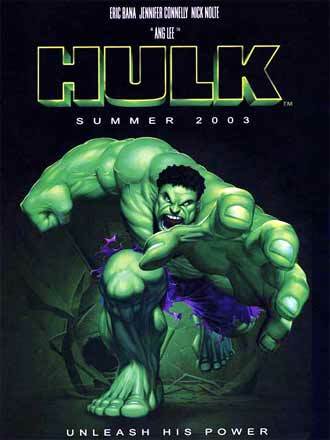 The formula may not always be successful, but Hulk is three for three and the results are extraordinary. 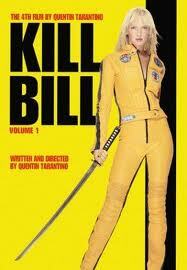 I absolutely loved Kill Bill, every hypnotic and creative frame of it. The idea of splitting the film in half is questionable, but they pull it off. It was cut at the right spot and, as I left the theatre, I felt closure and was still salivating at the mouth for more. The final showdown with Cottonmouth and the Bride is gorgeously photographed and the colors are unbelievably vivid. That sky, that snow. How orgasmic! And speaking of beautiful, Uma Thurman radiates something magical here. The only flaw she had is that she's so striking to watch that I couldn't fully observe Tarantino's vision around her. It was impossible to take my eyes off her. She gives the best performance of any actress I’ve seen in years. Aurally, visually, and imaginatively, Kill Bill is a cinematic achievement. Phenomenal. It all ends here, and what an ending! Watching this final piece of Tolkien’s (and Jackson’s) puzzle unfold with grace and perfection, I kept saying to myself, “Movie-going doesn’t get better than this.” Peter Jackson had the advantage of filming the entire trilogy simultaneously and these three films, as a result, feel completely whole. 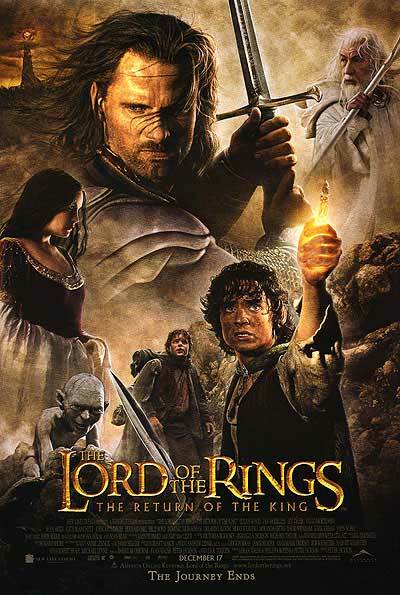 The Lord of the Rings is one long 12 hour story (extended versions, the only way to view this) and its structure is so sturdy and unwavering. If you sat and watched them all back to back to back, you’d be hard-pressed to tell where the movies connect together. This is superb storytelling, wonderfully cast and brilliantly designed. The battle scenes are pure adrenaline, wired with emotion and a strong sense of urgency. Everything is so big and magical in these movies, and I felt like a child, filled with an incredible sense of awe and wonder. And so it’s true – it really doesn’t get any better than this. 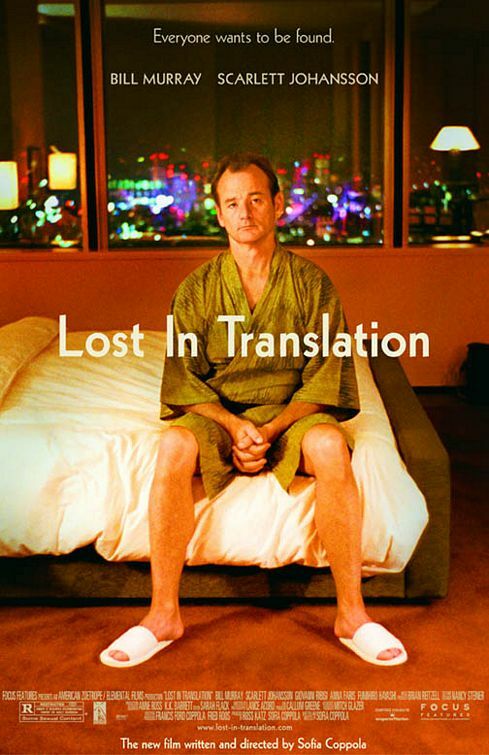 Bill Murray is exquisite as an aging actor who is stuck in Japan doing a small job for the money when he’d much rather be doing a play. He meets Scarlett Johansson, an introspective young newlywed who is questioning her marriage to Giovanni Ribisi. Both are lost souls in a strange land, and Sofia Coppola creates such a winning pair in these two characters. They connect in a human, most profound way, and this meaningful relationship is a joy to observe and experience. I’ve had my eye Johansson since Manny and Lo and The Horse Whisperer, and it was a pleasure to see her soar from here. And watching Murray react to Japan’s mannerisms proves to be some of the funniest material captured on screen this year. The great Scottish actor Peter Mullan directed this powerful and absorbing drama about young women servants suffering for their sins in an Irish monastery run by masochistic nuns and ignorant priests. These women are hardly sinful enough to be punished this brutally – some are beaten, sexually abused, overworked and greatly humiliated. It is dark, heavy stuff, but what makes it so watchable are the wonderful actresses that embody these desperate, yet hopeful, characters. The movie is not so much about the horrors of that place, but about these particular women’s journeys from the beginning to the end of their devastating imprisonment. 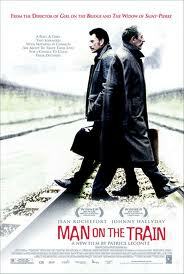 I'm not a fan of French films, so imagine my delight when I watched the 90-minute The Man on the Train, a brisk, thoroughly absorbing drama about two very different men who admire each other’s lifestyles. It’s a peculiar film, filled with rich details, a catchy score, subtle humor and gorgeous photography. It didn’t feel like a movie with a story, but it works very well as a study of two men, past their prime, who appreciate one another in a way no one else ever has. Johnny Hallyday and Jean Rochefort are so effortlessly wonderful. 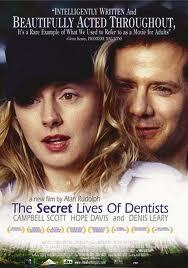 The best thing about this movie is that it haunts you for the longest time. Ahoy Matey! 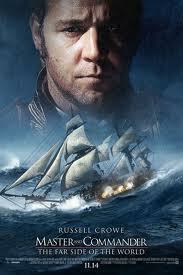 This rousing, fascinating epic drama on sea is another remarkable achievement for director Peter Weir and star Russell Crowe. These two towering figures of show business helped create a masterpiece of the genre – a fun, absorbing, emotionally complex adventure about friendship, loyalty, and surprisingly enough, the rewards of labor. The dialogue is so easy to savor (“the lesser of two weevils!”) and the performances are on target. Paul Bettany fares very well as Crowe’s best friend and shipmate, while the lesser-known cast makes big strides and memorable punches. And Crowe? Think what you may of him, but damn it, he’s a true out and out movie star. Nicolas Cage is a delight as a neurotic con artist in Ridley Scott’s most intimate film of his action-oriented career. Scott’s rare nimble touch and Cage’s trademark quirky intensity make for such a unique and thoroughly absorbing combination. The story of Cage’s character fumbling through life succeeding only in his con artistry with his partner (Sam Rockwell) is an engaging one. Especially once his character meets the 14-year-old daughter (the terrific Alison Lohman) he never knew he had. All of Cage’s scenes, whether with his partner or his daughter or his shrink, are suffused with genuine emotion and electricity, which makes the climax all the more surprising and rewarding. Oh what a sweet little gem. This is the story of three young Puerto Rican teens, blooming fully into their pubescent years, who live with their stubborn and old-school grandmother in the Lower East Side. That’s it – no guns, no deaths, no melodrama. These are first time actors who look incredibly natural on screen, and there isn’t a single weak link among them. Raising Victor Vargas is a sincere, quiet drama with life-affirming touches on romance, friendship and family. Movies of this kind and caliber are always a pleasure to discover. Campbell Scott and Hope Davis play a happily married couple with three adorable kids who live in a beautiful house in the suburbs and own a summer house on the lake. Then one day, he catches her sharing an intimate moment with another man. Immediately afterwards, his mind begins to unravel; paranoia settles and his sense of security and comfort begin to fade away. The rest of the film focuses on his questions – Should I confront her? Should I do the same with another woman? Why does she do this? Is it me? Is it the kids? It’s a beautifully detailed and thoughtful film, sort of like the cerebral version of Unfaithful – this time, instead of the husband murdering his wife’s lover, he deals with it intellectually and uncovers some surprising revelations. Hayden Christensen is amazing as Stephen Glass, a mousy reporter for The New Republic magazine who is popular for his entertaining articles and ego-less personality. 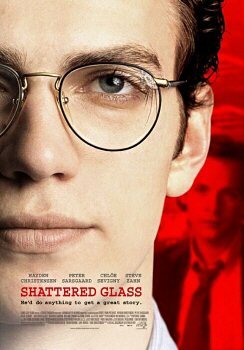 Once it is discovered that most of his news reports were fabricated, Glass’s relationship with his respected colleagues begin to unravel and his world falls apart. There are great office politics on display and well-crafted moments of sheer suspense and tension. It’s an incredible story, elevated by a magnificently thoughtful and tight script, acted with extraordinary panache by a cast of pros. Standing out are Steve Zahn as a reporter who uncovers the truth, Hank Azaria as Glass’s previous, well-liked editor, Chloe Sevigny (who looks marvelous) and Melanie Lynskey as his closest friends, and Peter Sarsgaard as the new, unpopular editor who eventually brings Glass down. Great, taut stuff. 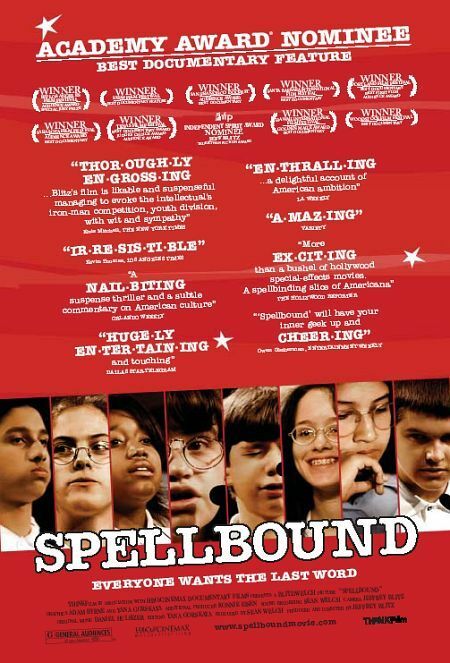 After a year dark and depressing documentaries (Bowling for Columbine, Capturing the Friedmans), it was such a pleasure to see a heartfelt non-fictional film dealing with the growing values of today’s children. The filmmakers showcase eight 14-year-olds who have won local and regional spelling bees and we watch as they compete with 240 other students nationwide for the Scripps Howard National Spelling Bee. This is nerve-wracking stuff. But it’s not just about the contest; it’s about the process, what the kids do to learn, how their parents support (or push) them, what drives them, and how they can use this experience and these obstacles to build a life based on a strong work ethics and values. In the Farrelly Brothers’ best film since the classic Kingpin, Matt Damon and Greg Kinnear are well-matched as conjoined brothers who optimistically pursue their lifelong dreams. 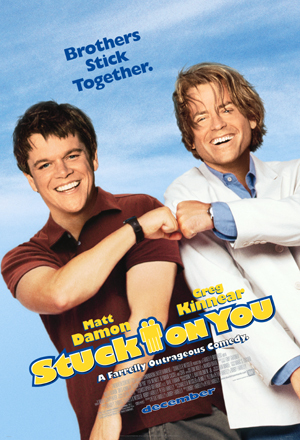 As all of the Farrellys’ films do, Stuck on You has got a big, silly heart, but this one stands out thanks to Kinnear and especially Damon. Damon is perfectly suited in any genre and I cannot recall seeing him having so much fun on screen as I do here. Stuck on You isn’t laugh-a-minute, but it does squeeze out a dozen good ones and manages to tug your heartstrings at the same time.